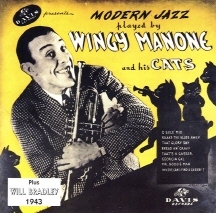 Tar Paper Stomp (Wingy Manone) is a 1930 song most recognizable because its main melodic riff was used several years later in the much more well-known song “In the Mood,” one of Glenn Miller’s biggest successes. The first recording of “Tar Paper Stomp” was made by a band led by Wingy Manone called Barbecue Joe and His Hot Dogs, during a 28 August 1930 session in Richmond, Indiana. He worked in a series of bands (occasionally as a leader) all over the country, before starting his own band Joe Manone’s Harmony Kings and recording with them in 1927. The following year Manone played in Chicago before relocating to New York. 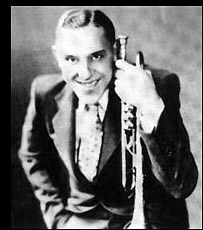 In 1929 recorded [sic] with Benny Goodman’s Boys and then moved back to Chicago and led a band called the Cellar Boys at a club called My Cellar. 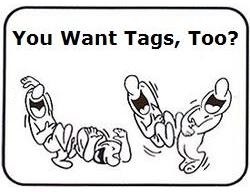 His 1930 song “Tar Paper Stomp” is the basis for the riff that would later become Glenn Miller’s famous “In the Mood”. 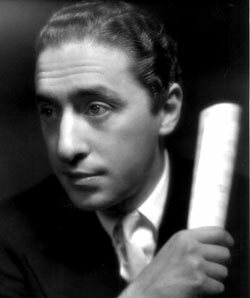 In 1934 Manone moved back to New York and scored a hit record with “The Isle of Capri“and became a popular attraction. In 1935, Joe Garland, a saxophonist and arranger for the Mills Blue Rhythm Band (from 1932 to 1936) made an arrangement of Tar Paper Stomp titled There’s Rhythm In Harlem. The Irving Mills managed band recorded it on 9 July 1935. “In the Mood” is credited by ASCAP to Joseph Garland (music) and Andy Razaf (lyrics). “In the Mood” was written in the middle 1930s by a composer named Joe Garland, and went through all sorts of different arrangements (and at least 2 other titles) without becoming a hit. Joe Garland also arguably plagiarized the main melodic riff from a 1930 composition by Wingy Manone entitled Tar Paper Stomp on Champion Records, where it first appeared. Manone never sued Garland for plagiarism. The main riff is identical, however, in both compositions. 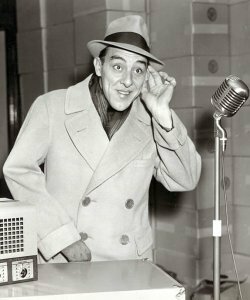 Edgar Hayes recorded an early version as did Artie Shaw. Both recordings flopped. Garland then took the instrumental to Glenn Miller. 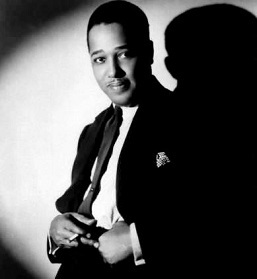 Miller figured out how to cut the original 8+ minutes down to a respectable 3; his cuts and tightenings actually gave the tune more impact and it became one of the most famous swing recordings ever, staying at no.1 for 13 weeks on the Billboard Juke Box chart in 1940. Question: If Glenn Miller was the one responsible for shortening an eight plus minute early version of the Joe Garland composition, “In the Mood,” to close to three minutes as suggested in the Answers.com article quoted above, then how and why did Edgar Hayes and his Orchestra record a version of approximately 3:20 length nearly a year and a half prior to Miller’s recording, 17 February 1938 vs. 1 August 1939? The Hayes recording is about 10 seconds shorter than Miller’s. The Edgar Hayes recording of “In the Mood” precedes the copyright date (June 1938) of the Joe Garland composition by a few months, though saxophonist-composer-arranger Garland participated in the recording. The date of the Hayes recording is confirmed by an article on Edgar Hayes at bigbandlibrary.com. The date of the Miller recording is confirmed in the Glenn Miller profile in the book “Tin Pan Alley: an Encyclopedia of the Golden Age of American Song,” by David A. Jasen (2003), p. 283, and in articles at jazz.com, allaboutjazz.com, and Wikipedia (In the Mood). 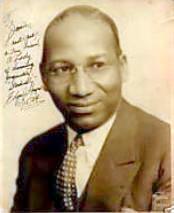 Edgar Hayes had been an arranger and piano player for Mills Blue Rhythm Band from 1931 to 1936. Born in 1904, Edgar Hayes led his first orchestra at age 21. The website Solid! “The encyclopedia of big band, lounge, classic jazz…,” provides some background on Hayes prior to his joining the Mills Blue Rhythm in 1931. In early 1925 he went to work with the Lois B. Deppe Orchestra and late in the year led his own orchestra at the Ritz Hotel in Cleveland. In 1926 he played with Madison’s Commodore Orchestra in Buffalo and in the spring of 1927 led his own Eight Black Pirates for the touring show Rarin’ to Go. From late 1927 to 1930 Hayes led a group called the Symphonic Harmonists. Though the arrangement used in the Miller recording is obviously derived from the arrangement of the earlier Hayes recording, there are notable differences between the two. For example, the horn responses to the main clarinet (Garland, not Manone) riff, to the repeated parts sung as “In the Mood” in vocal versions, are an emphatic two beats throughout the Miller version, whereas in the Hayes version the two notes are slurred, and the responses are more subdued. Both versions feature a trumpet solo, but in the Miller arrangement it is preceded by a tenor sax “battle.” The Wikipedia article says there is a baritone sax duet in the Hayes arrangement. I’m not sure what they’re referring to, though baritone sax plays a prominent role (not so in Miller’s version). The famous false endings of the Miller arrangement are not present in the Hayes version. * Note: revised 19 September 2012 — The video containing the recording by Mora’s Modern Rhythmists has been reduced in height because it advertises itself with mugshots of Al Capone who, to my knowledge, has nothing to do with the song.